This is me with my finished cake. So happy! 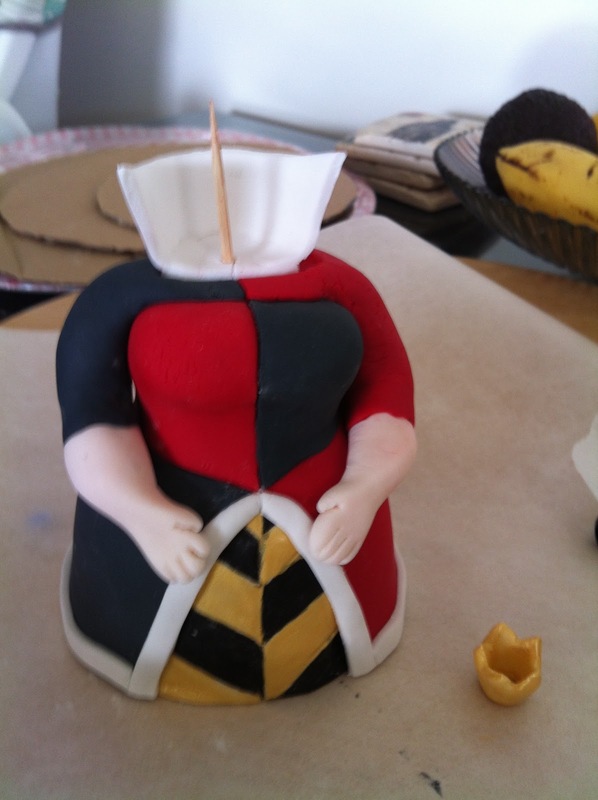 I will post more photos of the finished cake separately. This post is more about the characters I created and some of the challenges along the way. I gained so much inspiration from others on the Intranet, so hope I can inspire others to just give it a go! My first little creation was Alice herself. 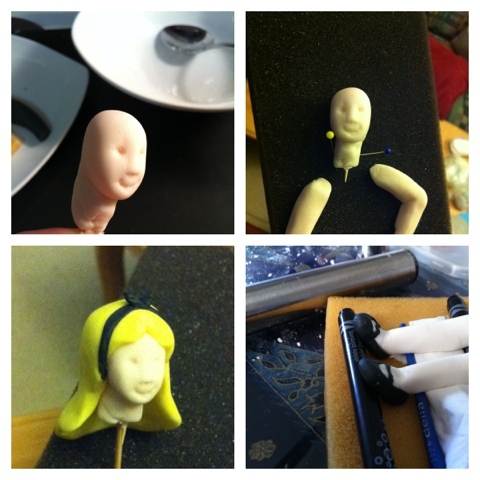 I was inspired late at night (as is often the case) and started working on her face and arms. I have to say that she resembled something out of Dexter for a little while, but luckily that didn't last long! 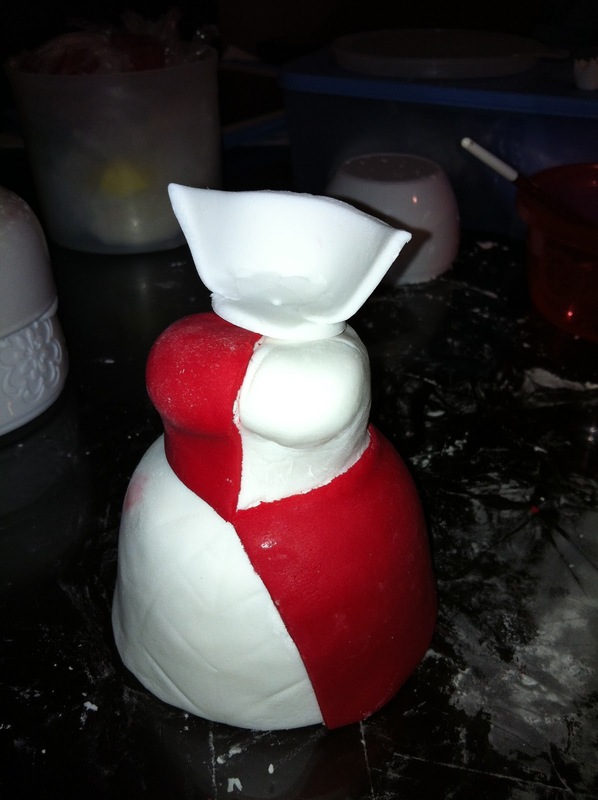 Over the next two days I worked on her when I had some spare time and discovered the benefits in Tylos in helping to harden the icing much more quickly. 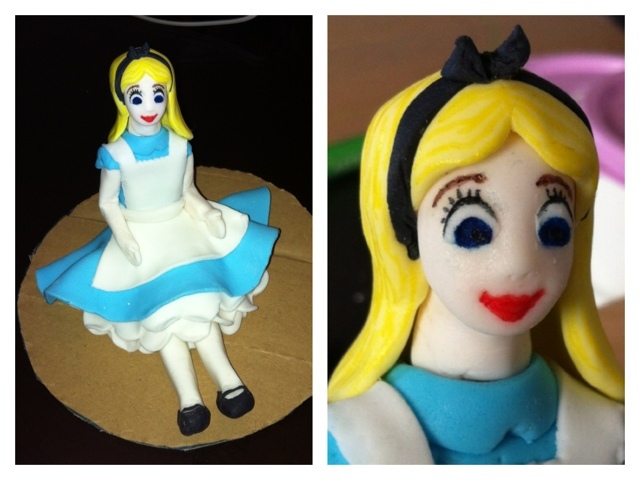 I did have a mishap with Alice's face and learnt that normal make-up is a no-no. Also that wiping things off with water will also take off the washable markers I used. Oops. On a positive, I actually wasn't happy with her original face, so it gave me an excuse to make one more 'Disney like'! 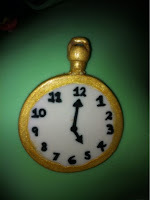 The White Rabbit's watch was quite simple, with the gold done with edible paint and the numbers with food writing pens. 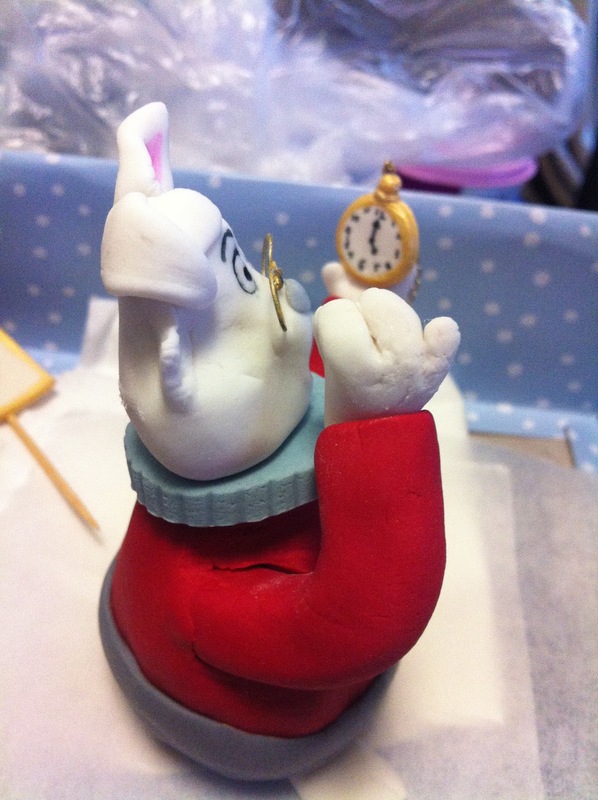 Then I started on my favourite character of all - The White Rabbit! I made the glasses out of cake decoration wire and edible gold paint. 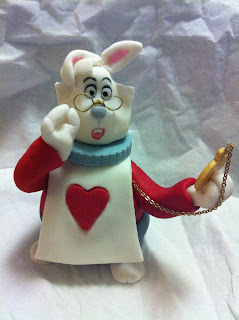 His chain on his watch is a necklace I cut up (from my teen years), it's all about the detail! He took a while as he involved many layers, but I really enjoy seeing where my imagination can take me! 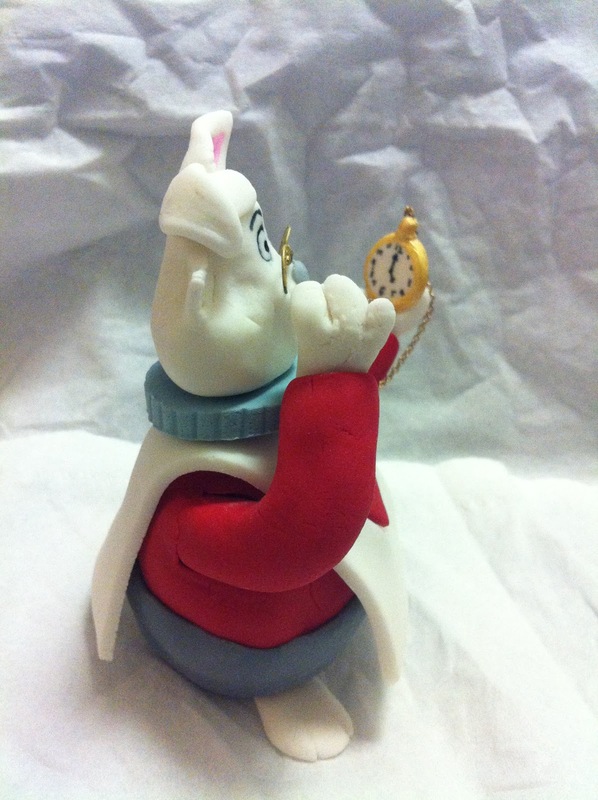 The finished White Rabbit. 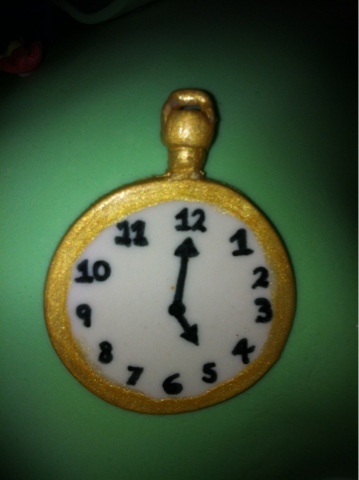 I cut up an old necklace for his chain and wired it into the icing. I had fun making this little man, but much more fun inventing his hookah. 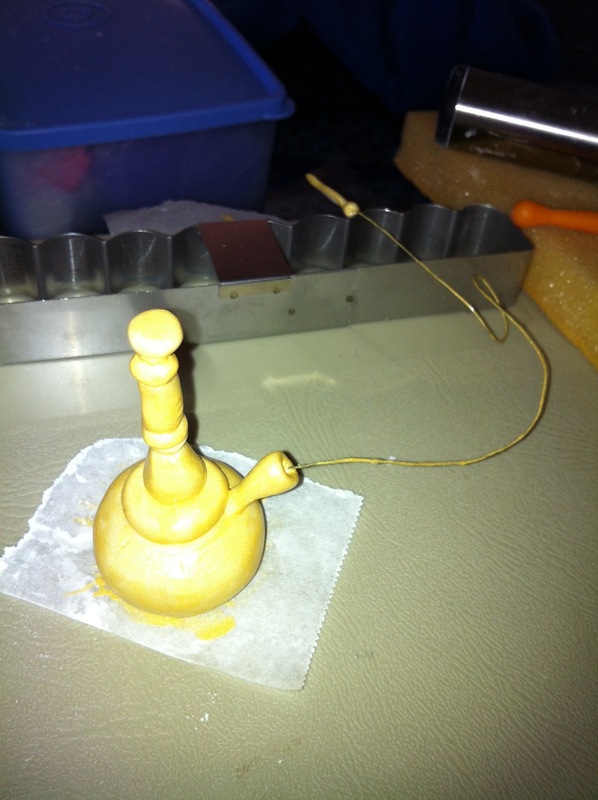 The hookah is held together by a toothpick and painted with gold edible paint. 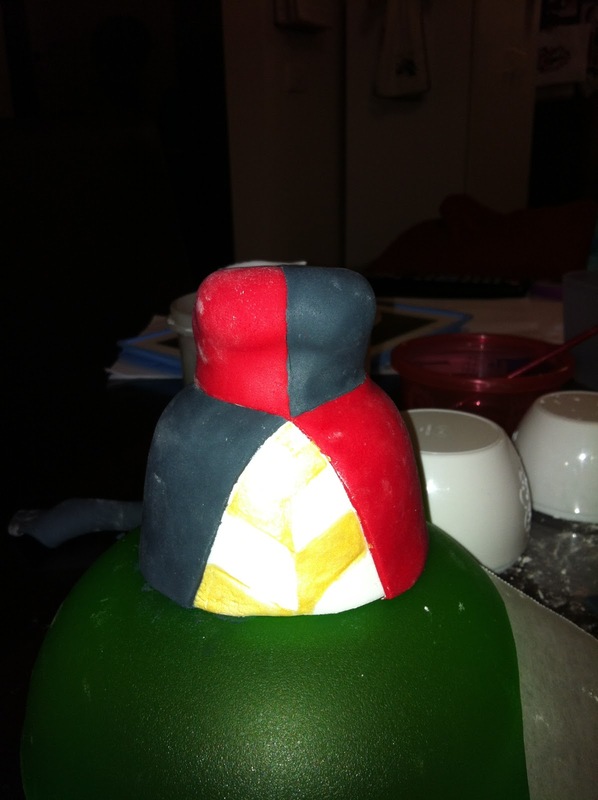 The 'pipe' is actually more painted cake decorating wire. Just a little extra - guess the Mad Hatter has headed down the rabbit hole without it! My sister requested I make the card man who was hunched over and I based both him and the ones standing up on cakes I had seen on the Internet (apologies to the original creator - I didn't tag your cakes at the time). They were so perfect on the web that these ones I had to recreate. 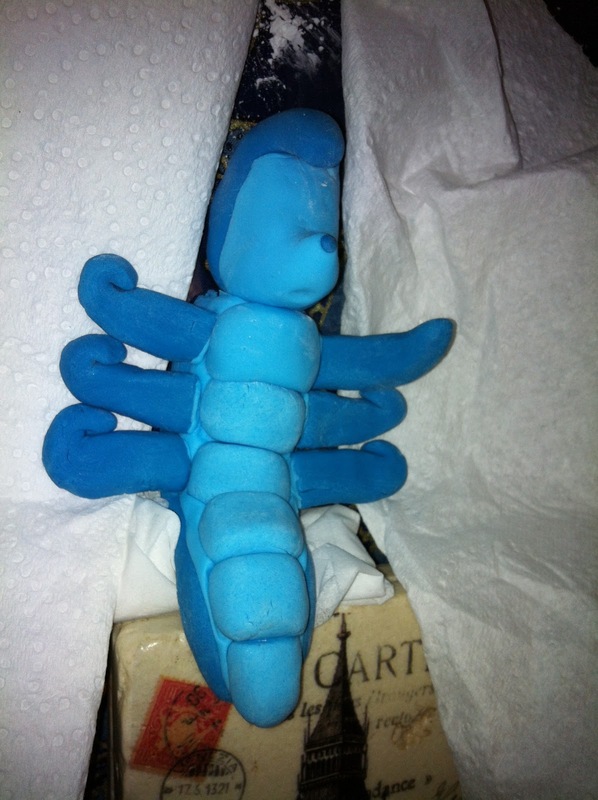 I created the legs of the bendy one out of toothpicks that I covered in fondant after the rest of the card was set. I also used two layers of icing for the card so that I could hide the toothpicks and ensure a smooth surface for writing. A lot larger than I expected, but I guess I got carried away with that magical smile. 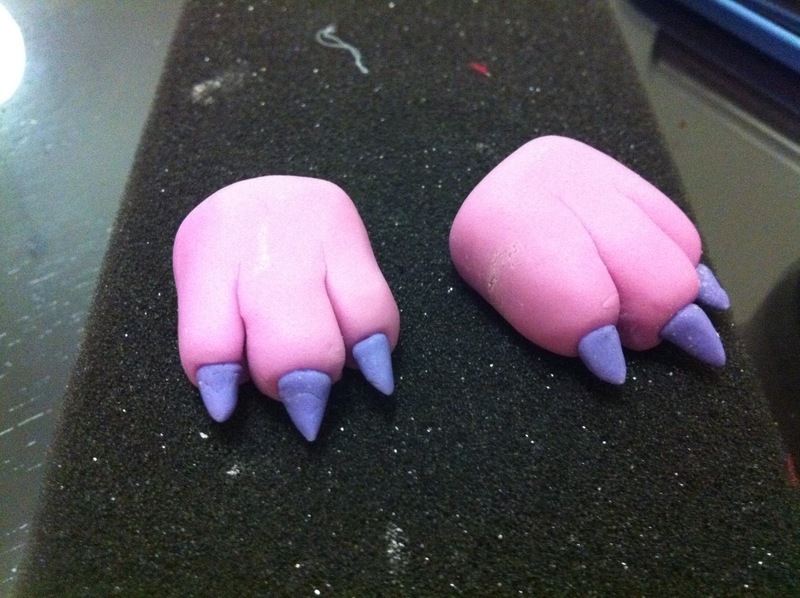 Tail and paws to match, with the bottom tier of the cake as his body. His whiskers are cake wire, but the rest is just icing. I created the bottom tier of the cake as his body - We had to make the cake taller, so used both a topsy turvy Red Velvet cake and then another 12 inch mud cake. Used sugar syrup to join (3 cups sugar to one cup water over low heat until melted). I also used the syrup on each cake before the fondant was applied, however on this cake we decided to also do a chocolate butter icing as there was a little difference in cake size from shrinkage. Smoothers were used to get a more uniformed effect. I think I would use the butter icing again for every tier as it gave a smoother result. 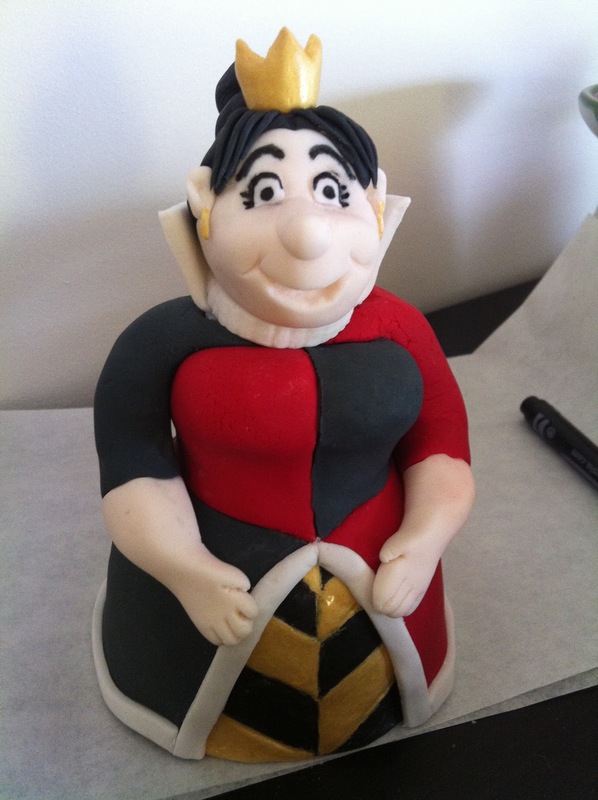 Finished bottom tier - we had to add a layer to the base cake as the head was so big. Oops! Originally I considered using a tree stump I made for my son's 1st birthday, however I felt that the proportions would be wrong on top of the cake. 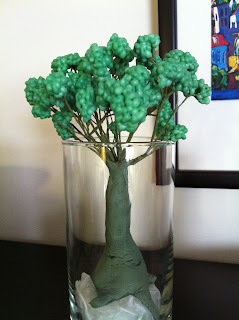 So, after a family dinner (and a few drinks) I sat down and started covering cake decorating wire with the green wire cover and twisting it into a tree shape. 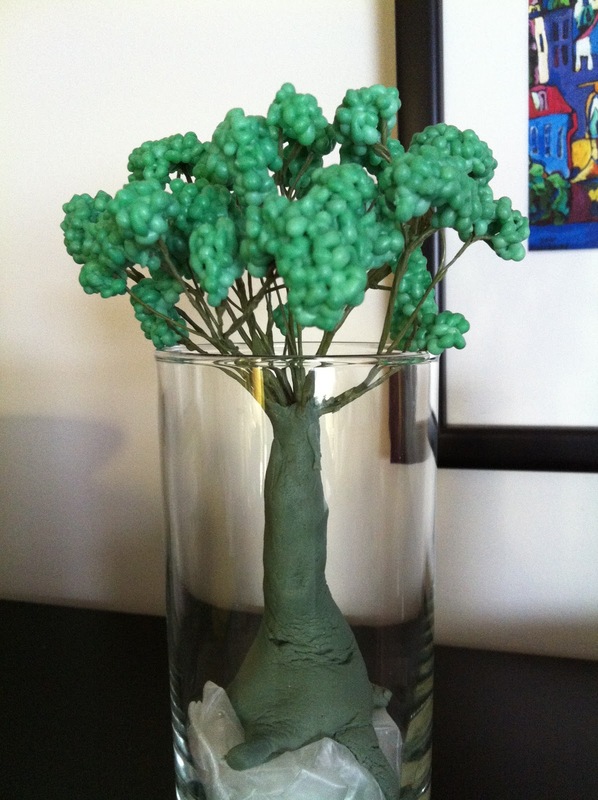 Then I started to individually pipe leaves on and a few hours later (the next morning)... a tree was born. 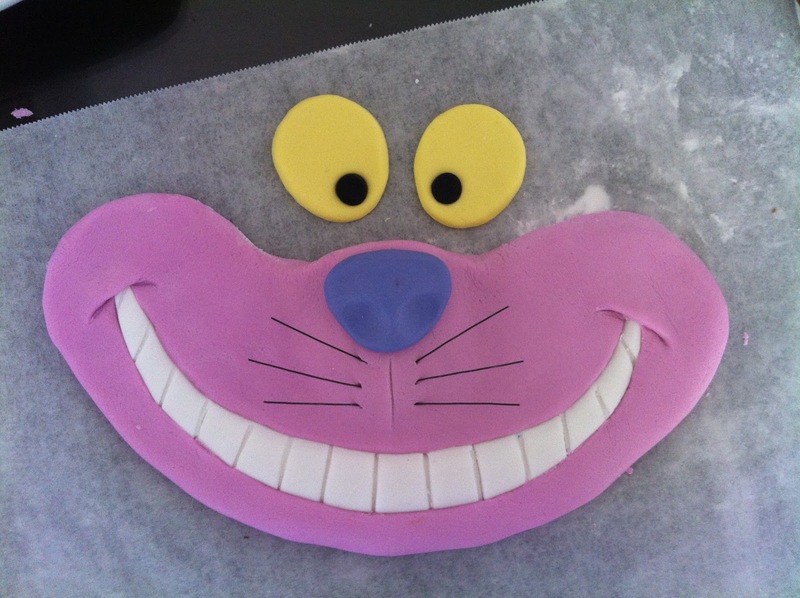 I think it worked out well as I designed the base to allow me to furrow a rabbit hole into the cake. I discovered that I had so many characters that I actually needed to place some on the cake board. 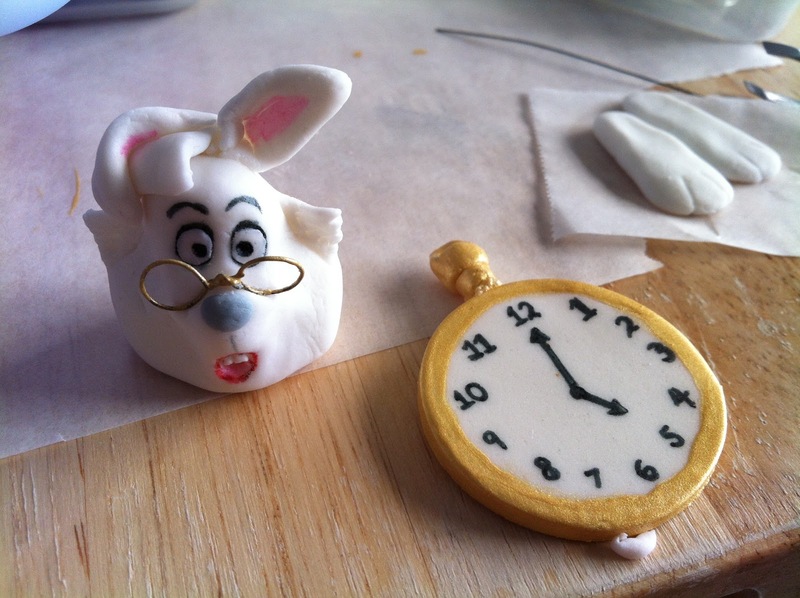 Rather than just looking like they were an after thought, I thought I could place the Queen and White Rabbit on a home made chess board. 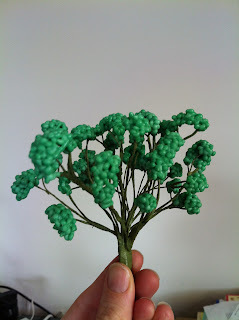 I have to say that I didn't really think when I made this and learnt a few lessons! LOL. I started with the idea from a cute tutorial on Pinterest where the woman had melted candy into a tray. 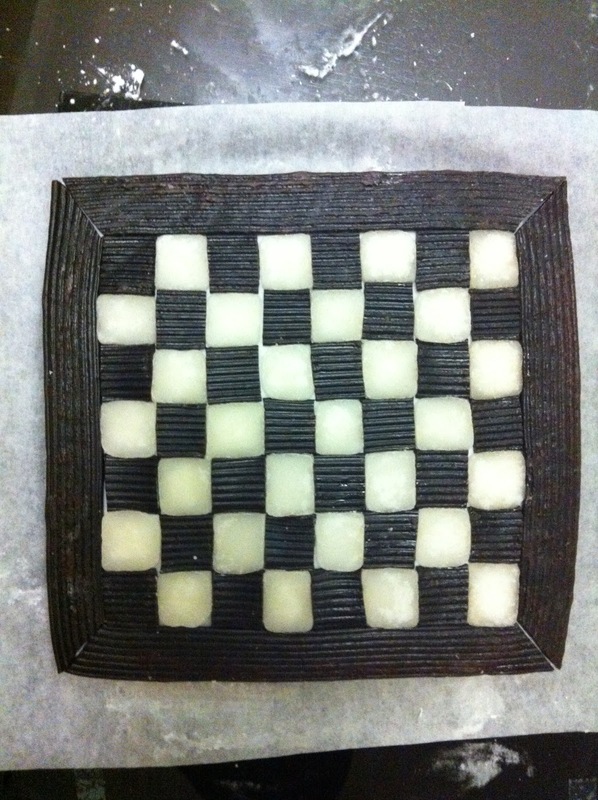 I knew I wouldn't find the right colours, but thought perhaps if I used liquorice that I could just make a white coconut toffee for the opposing squares. So, I cut out and placed all of the black liquorice and started on the toffee (1 cup sugar, 1/4 cup water). Without a thermometer I guessed when it looked done based on it still being clear, but going hard on a cold metal spoon. I thought I would just throw in the coconut and voila... fizzing... and a brown mess erupted. Yep... the coconut had cooked! Goes to show that even great plans sometimes go awry! Second batch was a little undercooked, but gave a great frosted look. I spooned it into all of the gaps and waited for it to dry. 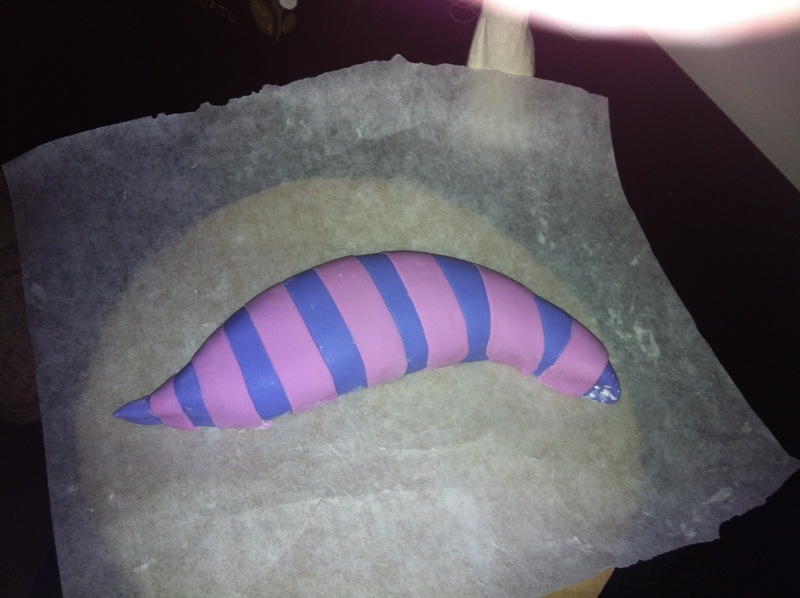 As it looked a little messy I tried to pop it in the oven, but all that did was cook the liquorice. Oops again! 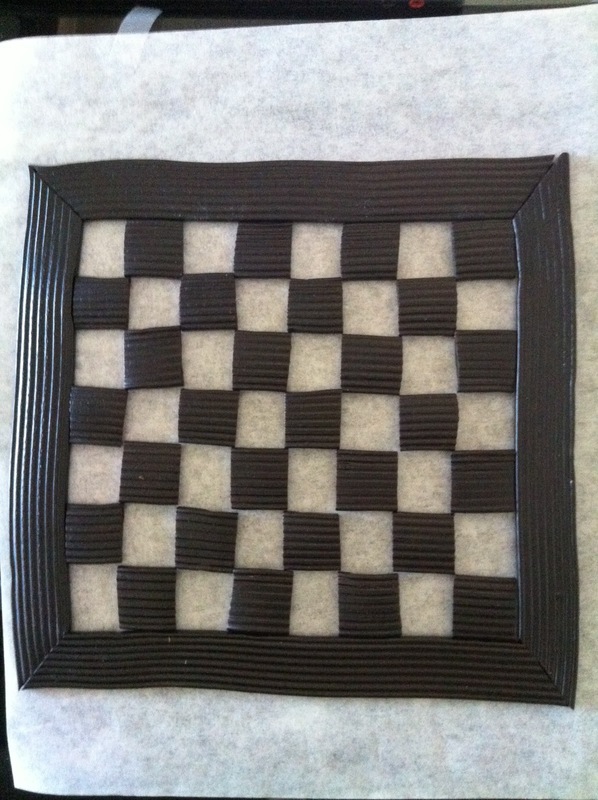 On a positive note, the cooked liquorice and toffee held together much more stiffly and so I rolled out some fondant, flipped the chessboard over and cut the fondant as a new underside. Worked perfectly as now it is dry I can pick it up and move it around. I think persistence was the key with this one! The cake needed many other details to finish it off, including all of the flowers and hearts. I had also made a little teacup and pot for Alice, however discovered these delicious little plastic ones that Jen can keep instead. Saved me using ones I disliked and also from making more! A BIG thanks to Jen for mixing all of the colours. Warm hands and a great persistence meant that I had perfectly mixed colours every time. 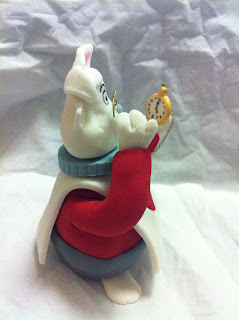 I used Orchard white fondant and Americolor gel colouring. 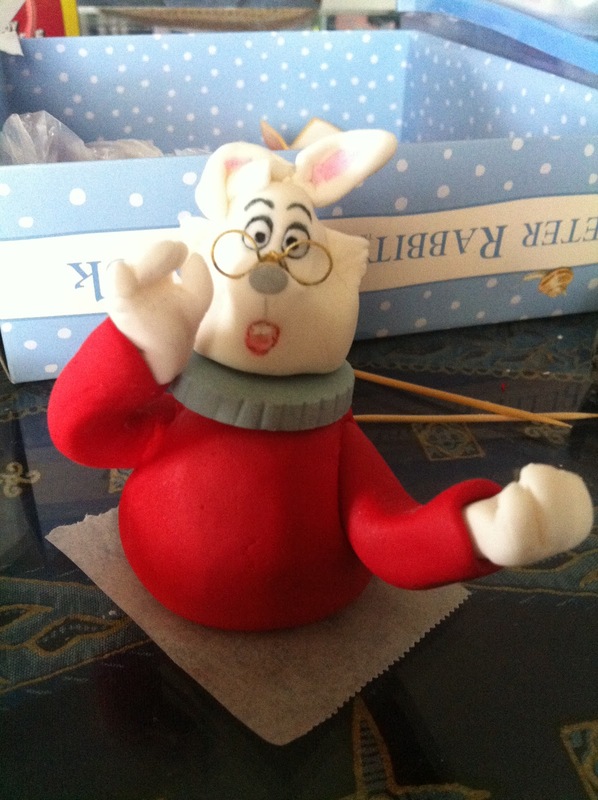 We also used some of my Mum's old Wilton powder in the red as we struggled to get it red enough. All of the faces and writing was done with either my Americolor gourmet food pens or my Crayola water-based marker pens. It's great having something that washes off if you make a mistake, however be careful not to accidentally get anything wet! 2. Use Tylos to harden the icing! My biggest lesson was the use of Tylos in making my creations - it makes the drying process so much faster and helped with keeping some gorgeous curves in her skirt. Thanks to the team at Merry Day in Cheltenham VIC for providing the tip on this one! It's not as hard as it looks and you have nothing to lose, so give it a go! Wishing you fun and inspiration! Consuming the cake. It was soooooo yummy!! I'm the "Jen" who was the recipient of this awesome cake. Kerrie exceeded all my expectations with this cake. 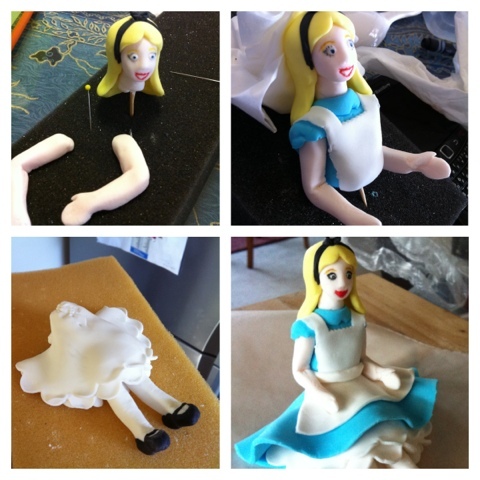 She made Alice for me first, and then said "I have some other ideas, but I'm not sure how much of this you want me to do (as originally I had said I would make the cake with her help". Well, having seen Alice, my answer was a resounding "All of it!". I am so glad that I let Kerrie have free reign over our cake. It was outstanding! Lol. I'm definitely better at this than dinner! Thanks for your lovely comments. It looks amazing - so much work - well done! 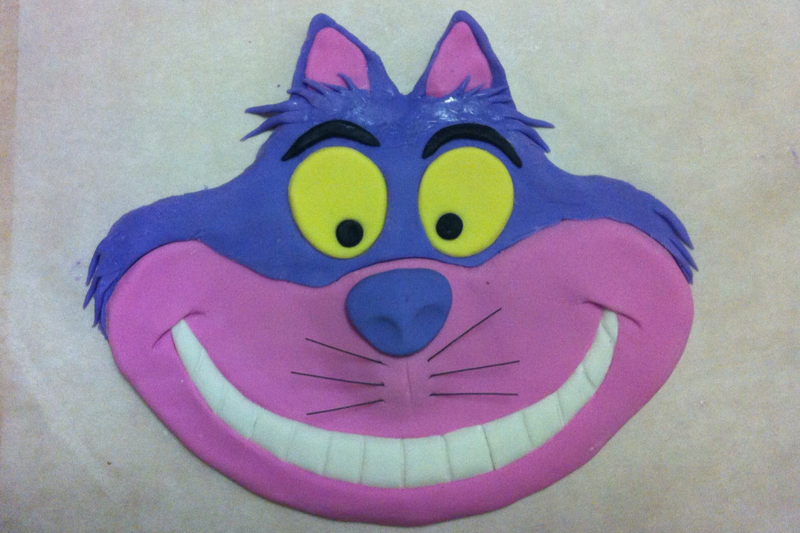 Brilliant cake, you are very talented! Out of the world art work! But worth the time you spent on it. Lucky girl for whom you bakes this exotic cake. Really happy for my cousin planning her engagement ceremony. One of the best event space NYC will be hired with quality bakers and caterers. Decorations will be done with flowers of classy looks. Hope all her dreams come true.